Want To Heal Your Body From Pain Without Surgery? 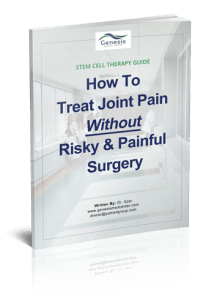 How to heal your body from joint, bone, tendon and ligament pains (and other degenerative conditions). The critical mistakes people make when considering the use of stem cells (and why this treatment isn’t for everyone). Plus: Important considerations when looking for a safe Stem Cell Therapy provider. Dr. Azar is a renowned speaker & educator on healing the body one cell at a time. His focus is on stimulating your bodies own mechanisms to restore function and promote healing. This treatment leads to a significant reduction of unwanted and unsightly hair anywhere on your body without damaging the surrounding skin. Most patients will see long lasting results after completing a series of laser hair treatments. The IPL Photofacial is a revolutionary method of photo rejuvenation that improves your skin’s texture, tone and appearance. A photofacial (aka Fotofacial or photo facial) will help treat everything from sun damaged skin to Rosacea, age spots, brown spots, premature wrinkles, pigment problems, bags under the eyes, and large pores on the face, neck, and chest. In fact a photofacial is the best treatment for Rosacea, hyperpigmentation, freckles and other skin problems. Genesis has the best vein therapy suited for your condition. Call our office to get information on Endovenous Laser Treatment (EVL), Sclerotherapy and Ultrasound-guided Sclerotherapy.